Over the last two weeks, P5 classes have been exploring and drawing 2D shapes with Tangrams and Pentominos Puzzle. We learned to draw all those shapes using a ruler and we had fun when assembling them as pieces of a puzzle. 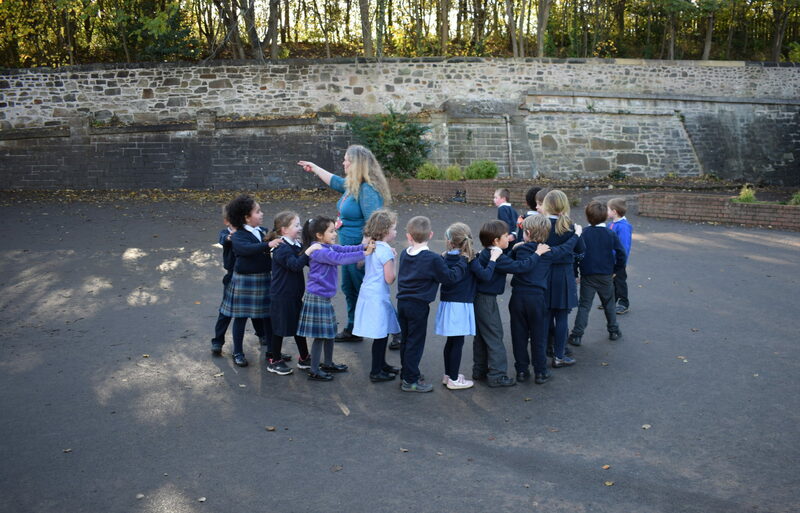 Pupils in class 5 took part in the Outdoor Classroom Day on Thursday. We are learning about ‘Making a difference’ from our ‘Building Resilience’ program. Pupils had the opportunity to write positive messages in pebbles and placed them around the playground to be found by other children in the school. By doing this we hoped to have brighten someone’s day or to have made someone smile. Making a difference start with little things! This was a great and fun outdoor learning experience and children were very engaged during the whole activity. Class 5V and Class 5N are Making a Difference! As part of our ‘Building resilience’ program, class 5 this term are focusing on ‘Make a difference’. Pupils have had the opportunity to identify and discuss the most serious problems of the world today and were able to locate them on the map. Comments like “We are the problem” and “we can be the solution” were heard during the group discussion. Cette semaine, nous avons découvert six émotions qui nous permettent de décrire comment nous nous sentons. Comment tu te sens ? Le bhith a’ coimhead air faclan gu tric, tha e a’ fàs nas fhasa dhuinn an leughadh agus an sgrìobhadh. Tha sinn air a bhith ag ionnsachadh cuid de na faclan cumanta le bhith a’ cluich a’ gheama ‘Cairt mu dheireadh!’, a tha coltach ris a’ gheama ‘Uno!’. Bha Clas 5N a’ rannsachadh leabhar agus a’ freagairt cheistean fosgailte agus dùinte. Nì sinn ceistean C an ath-sheachdainn. Bidh sinn a’ lorg fianais anns an leabhar. Bha Clas 5 N a’ lorg fiosrachaidh ann an leabhraichean. 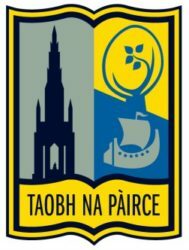 An urrainn dhuibh na ceistean seo a fhreagairt? A bheil barrachd bhaidhsagalan no barrachd charaichean anns an t-saoghal? Cia mheud cnàmh a tha ann an inmheach ? Dè am prìomh bhaile a tha am broinn prìomh bhaile eile? Cò a sgrìobh teòiridh gnè-fhàs? Aujourd’hui, durant le cours de français, nous avons découvert les différentes parties du visage : les cheveux, les yeux, le nez, la bouche et les oreilles. Voici quelques images des posters que nous avons réalisés. As part of our H&W program, class 5 have had the opportunity to participate in An Everyday First Aid workshop led by British Red Cross. Class 5 pupils have learnt valuable First Aid skills, for example, responding to someone who is unconscious and breathing/not breathing. The workshop was very successful and excellent feedback was given by the pupils after the workshop.